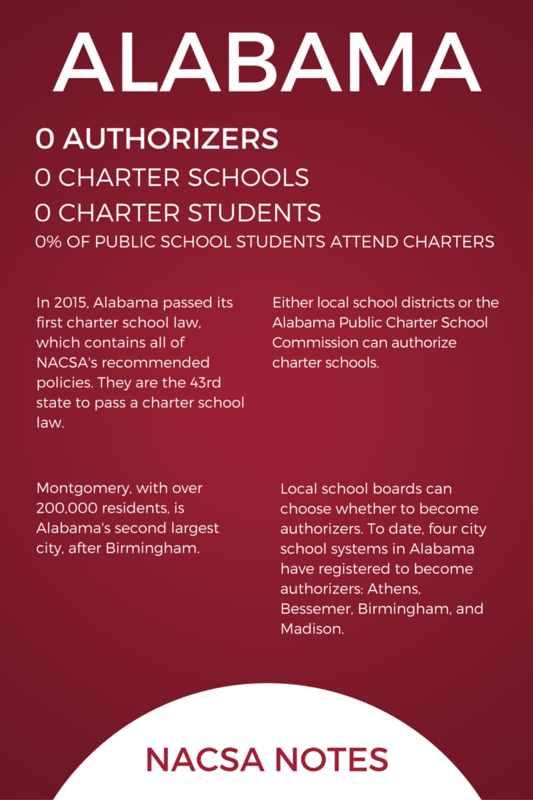 Here are edited excerpts from our Story Suite conversation with two leaders learning about the potential to authorize charter schools in Alabama: Eleanor Dawkins and Melissa Snowden, both members of the Montgomery County School Board since 2006. The board has not yet made a decision to authorize charter schools. UPDATE: The board decided on February 25, 2016 to become the authorizer for charter schools in Montgomery County. Melissa: The state is going to have a commission so that if a district does not become an authorizer, then that commission will be the one that the charter schools make their application [to] and then that commission decides whether or not [the applicant] will [become a charter school]. Well, I’ve personally–and I think Eleanor agreed–we wanted to be authorizers, but before we decided, ‘Yes, we want to be authorizers,’ we wanted to find out—wait a minute: what is this going to cost us? What is this going to mean that we do as a board? So we came [to NACSA’s Leadership Conference] to investigate and find out: are we getting in over our head? Or can we do this? And if we can, great, then can somebody please tell us how to do it? We don’t need to reinvent the wheel, but let’s take best practices and bring [them] back to Montgomery, so that we don’t waste time. We know that [we] don’t have time to waste. There is a sense of urgency. It’s been interesting today listening to people say, ‘Oh, do you give charter schools three years?’ No. That’s three years of a child’s academic life that you can’t get back. And so, we need to make sure that we do it right, immediately. Do you agree with that? Eleanor: I agree. I agree 100% because, obviously, traditionally what we were doing and have been a part of, and what was going on before we were a part of it, is not working as well as it used to. We don’t know necessarily the reasons for that, but we do know that we–all of us–are wanting to make it better for the kids, and we don’t want to hurt them. We want to help them. And so, we have to find a way–and this is almost like wishing for a miracle–that we can fix it quickly for them, or allow them opportunities to fix it for themselves as best they can, [and] bring our communities back together. I think a part of that chasm is why we have many of the challenges that we have. We’re not a community together anymore. I’m not sure at what point in this life we are all a part of that we were together, but there was a semblance of togetherness. We need that again because our kids are suffering as a result of us as adults not doing what we need to do, and I don’t know what that is. If it’s charter, fine: bring me some charter. NACSA: This is retirement now. Eleanor: Yes, this is retirement: I work full-time and [serve on the] school board. I know it can work. And I can’t stop trying to help it work, and then I keep nudging her [Melissa, her colleague on the school board]. NACSA: Melissa, you were born and raised in Montgomery? Melissa: No. I was actually born in Ogden, Utah. My father was in the Air Force, but we really had a unique experience. I mostly lived in Montgomery, Alabama, but I was able to, like Eleanor [who was born and raised in Montgomery but lived elsewhere for 30 plus years before moving back 20 plus years ago], go and see things done differently, but come back. I graduated from Montgomery, Alabama Public Schools, went to college in Montgomery, and I’ve lived in Montgomery since then, married, [and I] have three children. One has already graduated. We are definitely steeped in Montgomery, Alabama. I don’t know if you know much about Montgomery, but we’re the birthplace of the Civil Rights Movement. Eleanor: And the cradle of the Confederacy too. Melissa: Right. So we, I think, have such a unique relationship: we are different, but the same, all at the same time. Eleanor and I came from different sides of everything that happened back then. But then, at the same time, we’ve also had the privilege of being in different parts of the world, so that we can see that it’s not always just like the Deep South. And then to come together, we would have never known each other had we [not] been…on the school board. I mean, we…would have never crossed paths. Eleanor: She’s a Republican. I’m a Democrat. 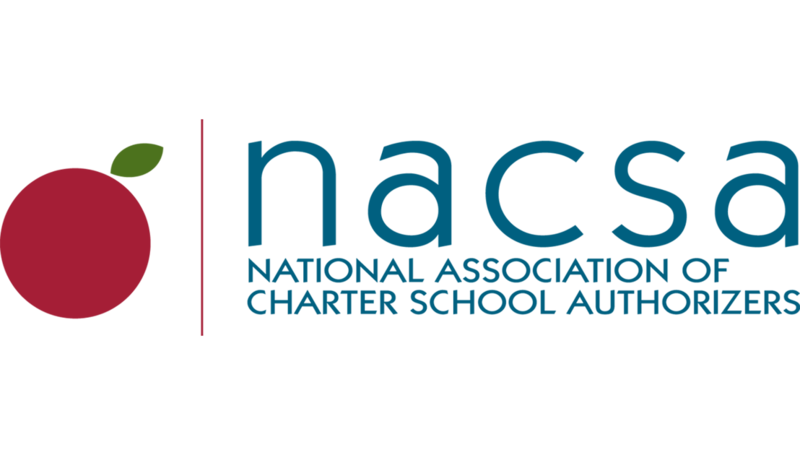 NACSA: Different generations, different races…. Eleanor: That’s true. That’s true. I try to be young like she is. 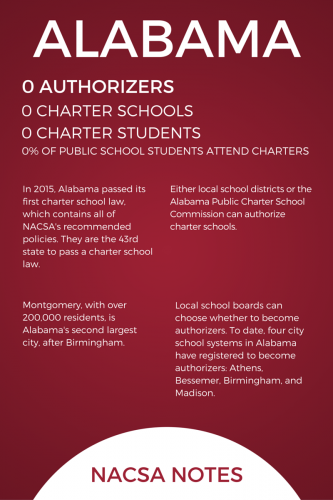 NACSA: How are families reacting to the potential [for charter schools in Montgomery] that’s in the air? This idea that there might be some options offered to them that they haven’t had in the past? Melissa: I don’t think we’re there yet. Eleanor: We have to do better on our PR. We have to do better on presenting where we are as a school district to the public. We have a PR department, but it doesn’t do justice to what we need. In order to, let’s say, sell the charter school issue, we’ve got to paint a picture that we are in collaboration with it, as opposed to fighting against it, and that it will be helpful, not hurtful. We are so lacking in funds, from an educational perspective—in my point of view—that we need people to understand options are a good thing. Adults—some adults, not all adults—know that, ‘If I do this, I can get this. If I do this, I can get this or I won’t get this.’ And some make good decisions. Some don’t. Our kids haven’t gotten there yet. We have kids that are making bad decisions and suffering for it. But I think we, as a school system, are not helping them when we’re not providing the educational foundation that they need. If we have to paint pictures on the wall for them to get it, then that’s what we have to do; whereas over here, we can do something different. We can do the traditional. We can do the innovative. We can do the totally different. That’s the kind of thing that I can see school systems all over the country doing. Melissa: Community, the full service community schools. We’re trying to pilot a program right now with those wraparound services [since] you can’t learn unless you’re physically and emotionally ready and healthy. How can we help equip [the students] so that the teachers can really teach instead of being a social worker? And the list goes on and on. NACSA: Where are the gaps and…what don’t we have in our employment sector or where are kids getting lost? Melissa: Right. It’s all connected. Then you could really go into the whole workforce development and attracting businesses to your community. It just keeps building and building before you. School is so important. It is the foundation of your community. So we’ve got to get it right.